140"-142" and 6+ based on that pic. Good solid brisket, sway back and belly! Could just be his stance. I would at least say minimum 5 yr old. 5 year old and 149"
Hard to tell from just one picture on age but I would guesstimate him to be 5.5 and 141-143". Great buck for Fayette County. Our ranch is also in Fayette County. What part of the county? You sure look greener than our place. Hard to tell age on that one picture, but I think he is only 4. I would say about 145"
It’s hard to age this time of year. Wait another month and he should be easier to age once he sheds his velvet. If I had to guess, I’d say 5/6 and 140-145. Not really what I expected to see, when I saw that the deer was a Fayette County deer. He is a nice one. Mid 40s. Great deer for sure! 5.5 and 152. Really nice buck for fayette county. Thanks for sharing! Im pretty sure he is mature and pushing 160"
I dont see how that buck doesnt get into the 50s. Good luck if you decide to pursue him. Our place is in Fayette too. 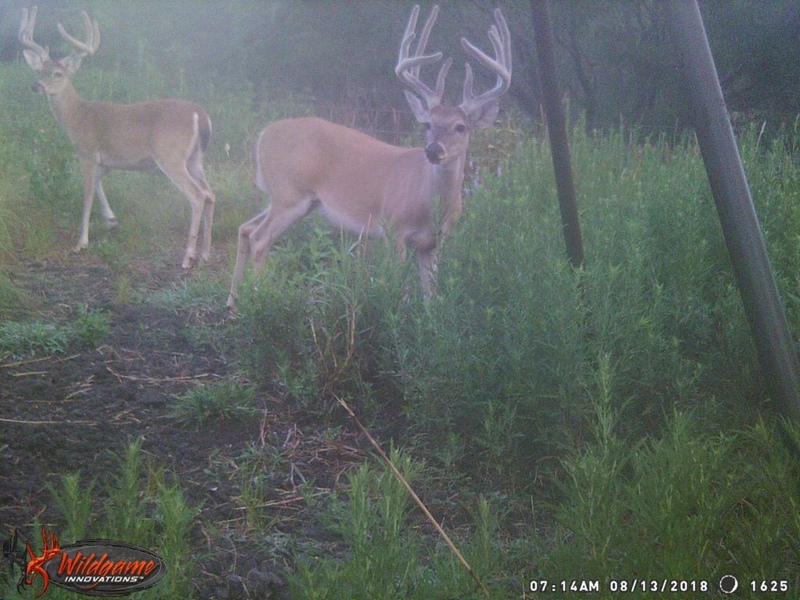 Deer like that tend to be ghosts after Sept. Good luck cuz he a great deer no matter what. Can’t wait to check our cameras in the next week or two. I'd say 5 and 148. Frustrating that many of our mature Fayette deer like that one are only 12 7/8” wide. Hunt In: Colorado Co. & McMullen Co. Waiting to see hard horned pics. We're finally getting some rain!!! Do you have any other pictures of him? looks to be 5.5 but hard to tell off one picture. What a deer for that area!! Old enough. 145 or more. Good looking deer. Last edited by ostey22; 10-04-2018 at 09:50 PM. Where about in Fayette County?